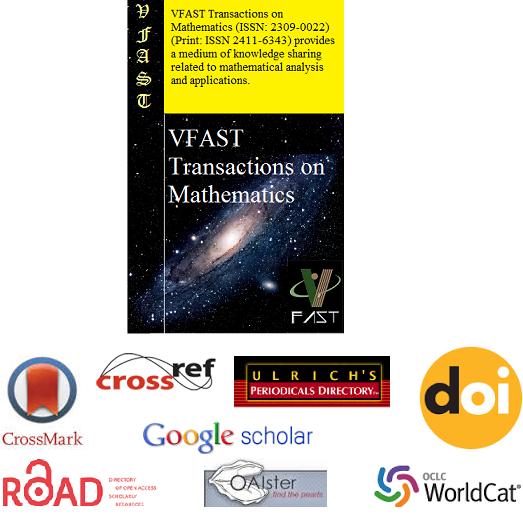 VFAST Transactions on Mathematics (ISSN: 2309-0022)(Print: ISSN 2411-6343) provides a medium of knowledge sharing related to mathematical analysis and applications. The Journal articles are devoted to mathematical questions arising in physics, chemistry, biology and engineering. Send your research paper for an upcoming issue.